Home » life » Baby Died Minutes After A Daycare Worker Put Him In His Car Seat For A Nap. I Had NO IDEA This Was Possible! Baby Died Minutes After A Daycare Worker Put Him In His Car Seat For A Nap. I Had NO IDEA This Was Possible! 11-week-old Shepard Dodd died tragically after being put in his infant car seat. The death was an accident but it actually happens much more often than it should. Now, Shepard’s parents are determined to make sure this tragedy doesn’t happen to any other baby. The little bboy was in the home of his licensed daycare provider. At nap time, he was swaddled and placed in his car seat. Since Shepard had a runny nose and little congestion, the daycare provider thought he would sleep better in the upright position the car seat provided. Since he wasn’t in a moving vehicle, the straps were left unbuckled and off of him. The baby fell asleep, and his head fell down in a chin-to-chest position, which closed his airways. Because he was so young, he didn’t have strenght in his neck muscles to move his head, and he died of asphyxiation. His parents are taking his story to the media to prevent other babies from this horrible death. What happened to Shepard is called positional asphyxiation. Babies don’t have the neck muscles to keep their heads upright, so if they are not properly buckled into a rocker or a car seat, their chin can freely fall on their chests and cut off air supply. 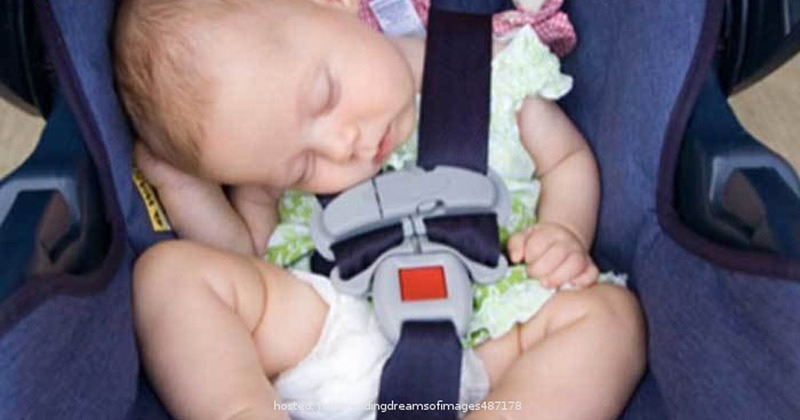 Car seats are designed to protect children as they are traveling in a car, but they can actually prove a danger if infants aren’t properly strapped in and supervised. Ali and Derek Dodd are now lobbying the Oklahoma state legislature to introduce new safe sleep standards for babies, as well as warning parents about the dangers of positional asphyxiation. But we should all take note of this from now on.